Last week, we met the first character for my hypothetical Starfleet Academy TV show, namely Cadet Kamlyn Sulu, the great grandson of Hikaru Sulu. He’s a straightlaced legacy type, so we need to find the antithesis to him, someone who could serve as a foil, someone who would maybe bring out the worst in Cadet Sulu. For my second choice, I was inspired by two specific characters: Worf and Nog, pioneers who were the first Klingon and Ferengi to attend the Academy. I wanted the next character to be the first something-or-other to join Starfleet, a trailblazer who would only stir things up. That’s right, the next character would be the first Cardassian to ever join Starfleet, a female that we’ll name Jessa Atin. Jessa’s road to Starfleet was a winding and complicated one. She grew up in the ruins of Cardassia just as the Dominion War ended. She doesn’t remember much of her childhood, just that she was ferried from family member to family member in an attempt to escape the political chaos that ravaged the planet. It seemed like every time that she thought she was safe, something else would go wrong and she would wind up tossed around again. But then, when she was a teenager, she caught a lucky break. She was smuggled offworld to Bajor. At first, she thought that she would be despised because of her people’s history with the Bajorans, but much to her surprise, she found only acceptance. This broke through her hostility and she started to learn Bajoran history. More importantly, she started to learn more about the Federation. Up until that point, she had a deeply ingrained fear of the Federation and especially Starfleet. According to her people, it was Starfleet that ruined their planet. But now, away from Cardassian propaganda, Jessa starts to realize the truth. She realizes that the only reason why she’s safe at all is because of the Federation’s actions during the war. At the prompting of one General Kira Nerys, Jessa decides to apply to Starfleet Academy. Technically, she does so as a Bajoran citizen (Bajor joined the Federation a decade earlier), but that doesn’t change who she is. Jessa goes to San Francisco, expecting to find an enlightened utopia. Instead, she finds herself surrounded by people who openly regard her with suspicion and hostility. The wounds of the Dominion War haven’t totally healed in Starfleet. Everyone knows someone who either lost someone or died in the conflict and they take it out on Jessa. That might include Kam Sulu as well. With a family as storied as his, Kam probably lost a couple of relatives in the War. He may not appreciate the fact that Jessa is a part of his class. Any other person might be tempted to pack it in and go home. But Jessa is a fighter. She’s not going to back down, not from a fight, not from a challenge. She’s not only going to be the first Cardassian Starfleet officer, she’s going to be the best Starfleet officer period, so that when people talk about Kirk, Picard, and the others, they’ll have no choice but include her as well. Just like Kam, I think it would be great for a former Star Trek character to come and offer Jessa some advice and support at some point during the series. The obvious choice for Jessa would be Kira Nerys, given the history I’ve crafted for them. But like with Kam, I want to go a little sideways. That’s why, at some point, Jessa would get a visit from a simple tailor. Part of this is just for me. 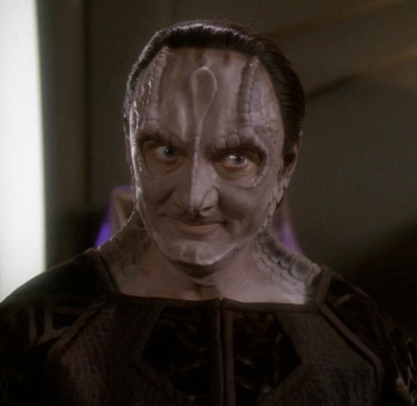 I loved Garak as a character and it would be great to see Andrew J. Robinson reprise the role. But here’s the thing: I think that it would be interesting if it turns out that the real reason why Jessa was shuffled around on Cardassia, why she was eventually sent to Bajor, and why Kira encouraged her to join Starfleet, is because Garak arranged for it all. Why would he do that? Jessa can’t imagine why, but maybe it has something to do with her lost childhood, or something to do with who her parents really are. Maybe Garak felt it necessary to keep her out of the reach of certain parties within the Cardassian government and he thought the best place for her to be was deep within the organization that trounced the Cardassians. That way she would be safe until he can reveal the truth to her (or until she and her classmates can unearth that truth). So that’s two. Next week, we’ll talk about my idea for the “fish-out-of-water” character for this entry into the franchise. Come on back. And hey, if you have ideas for characters, let me know in the comments! And as always, please feel free to share this with your Trekkie friends! Making the character a Cardassian whose beliefs were positively influenced by Bajorans is brilliant. The comparison of Jessa’s experience on Bajor to her experience on Earth is striking. The Bajorans had a much more legitimate reason to hate her species, but on Earth — the so-called Paradise at the center of the tolerant Federation — she faces discrimination. This resonates well with Siscko’s famous “easy to be a saint in Paradise” speech. Cheers for DSN thematic continuity! Jessa will probably feel similar to Ro from TNG. A good comparison, as Ro was one of the most interesting characters in the franchise, whose arc really challenged the default worldview I think. I’m a little skeptical about using Garak for Jessa’s mentor. Your idea for him could be done right, but it could end up being terrible. Leave the door open to the possibility that Garak might have planted Jessa in Starfleet to use her against it in some way, while still keeping Garak sympathetic. The Voyager approach to characterization would be absolutely disastrous here. 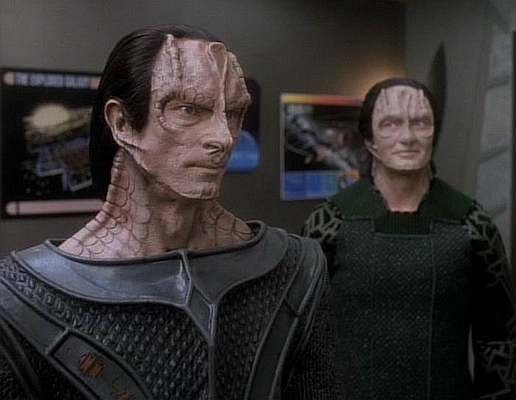 At all cost, the writers would have to avoid making Garak seem like a happy team member. Nog might be a good continuity character to bring back, maybe even as a recurring or main cast role. The Ferengi’s involvement with the Federation is increasing, and as a fan interested in the cultures and beliefs of the alien societies, I want to know more about the “Great Material Continuum” and how a race based so strongly on commerce would face unavoidable involvement in messy political affairs. Whatever role the Ferengi might play, I think ambiguity would be best for individual characters. (This might disqualify Nog if there’s only room for one Ferengi on the cast, because we know him too well.) Maybe make the Ferengi the new Cardassians — they’re too deeply involved in Alpha Quadrant politics to be the race of funny stupid people, but their loyalties are forever malleable and uncertain. I like the idea of Garak potentially planting Jessa in Starfleet to use her against it. My whole idea for including him was that no one would have any idea what he’s up to. Some might trust him. Others might not. Most would waver between the two options. I loved it when Garak was ambiguous in his morality and loyalties.